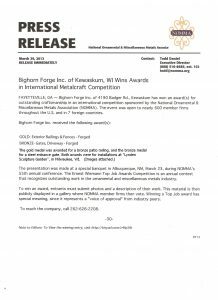 Bighorn Forge received two awards last week at the “National Ornamental and Miscellaneous Metals Association” (NOMMA) convention “Metalfab 2013”, which was held in Albuquerque, NM. During this annual international convention, a “Top Job” contest is held, where many categories of forged, as well as fabricated works are voted upon by the NOMMA members. 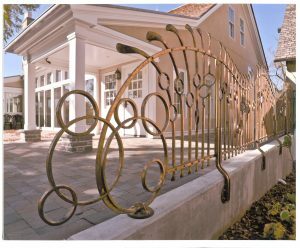 Bighorn Forge received a gold medal (first place) in the “Exterior Railings, Forged” division for the above railing. This railing, designed and executed by Dan Nauman, was made for the “Lynden Sculpture Garden” in Milwaukee, WI. 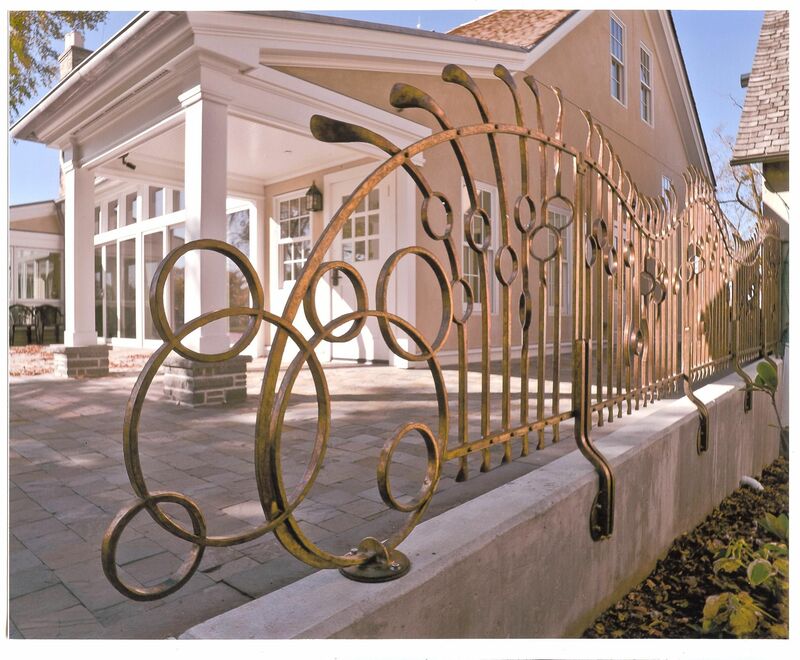 It is made of silicon bronze, and measures 54″ x 25′. The 4″ rings on the 3/4″ square balusters were all slit, opened, and refined hot using a coal fire. 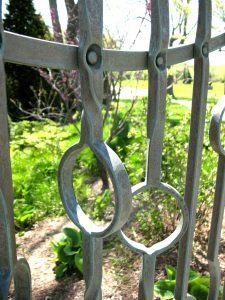 The top and bottom motifs were cross peened; and the rivet sockets applied with a ball tool under a power hammer. 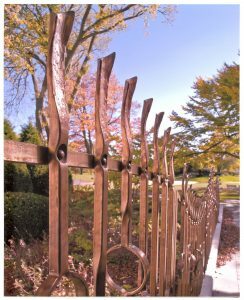 The rivets were all hand-made from a 3/8″ round bar. 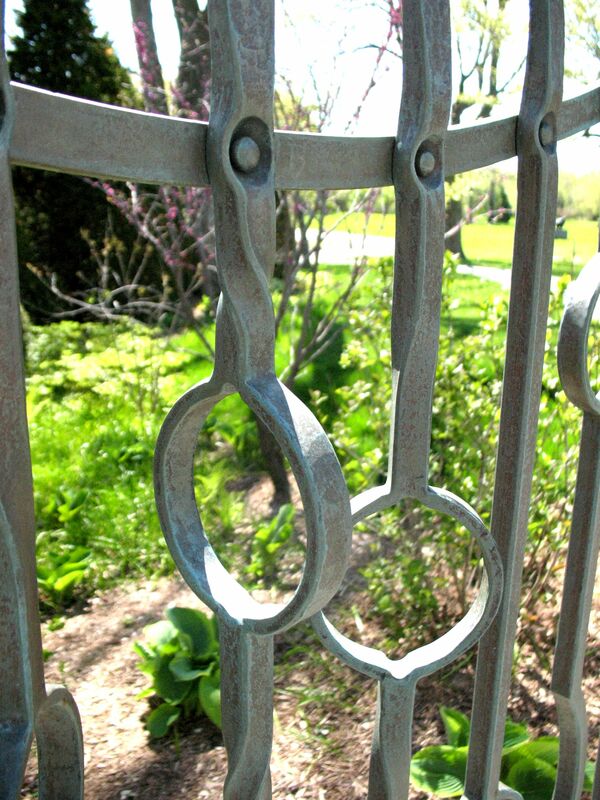 There is no finish, allowing for an eventual verdigris patina. Since these images were taken, the bronze has already started to oxidize nicely, as seen below. 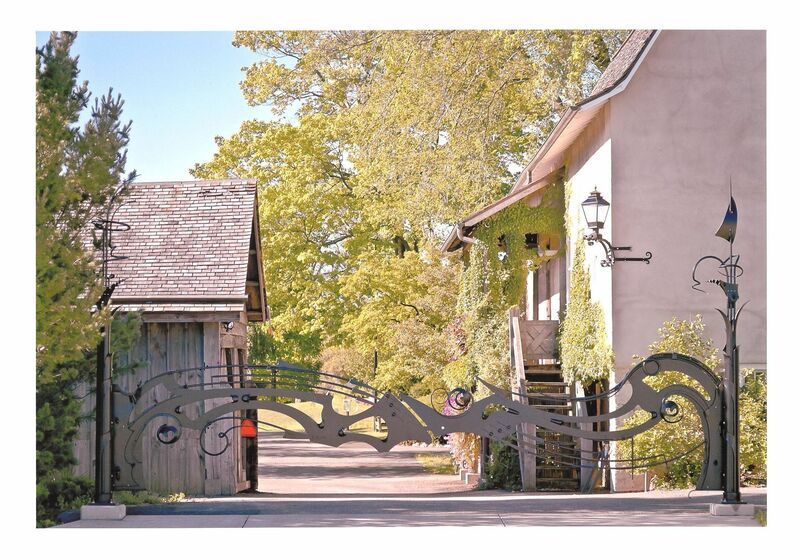 Bighorn Forge also received a bronze medal (third place) in the “Driveway Gates, Forged” division for the gate below. 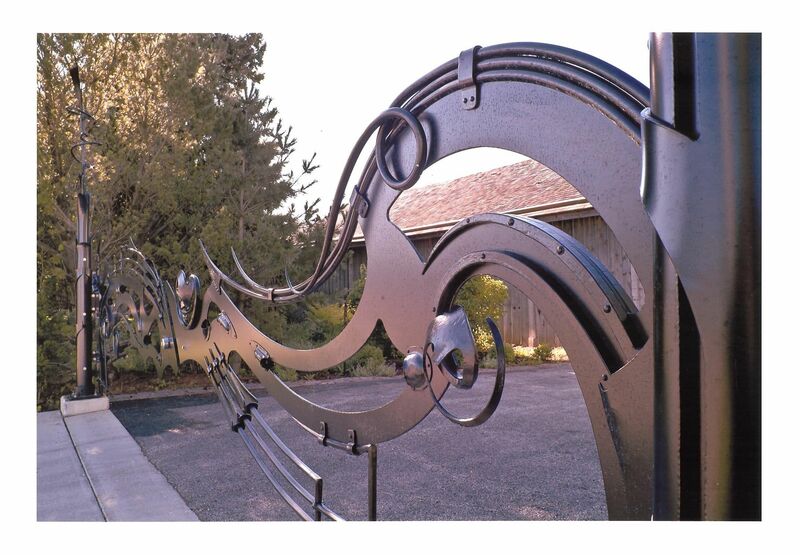 This gate, also designed and executed by Dan Nauman, was made for the “Lynden Sculpture Garden” main entrance. 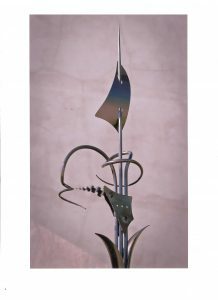 It is made entirely of mild steel, and measures 14′ x 26′, with a monochrome powder-coat finish. 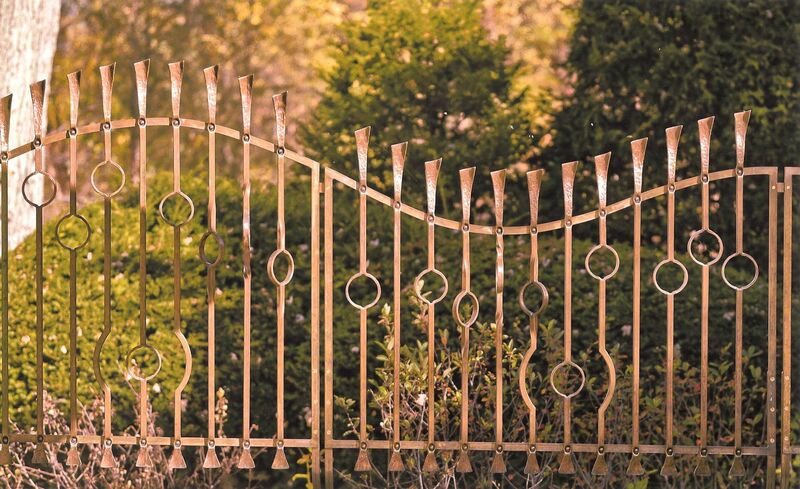 Many of the bars were forged into an octagonal cross section. The lower portion of the piers are made of pipe that was torch cut and then forged to shape. 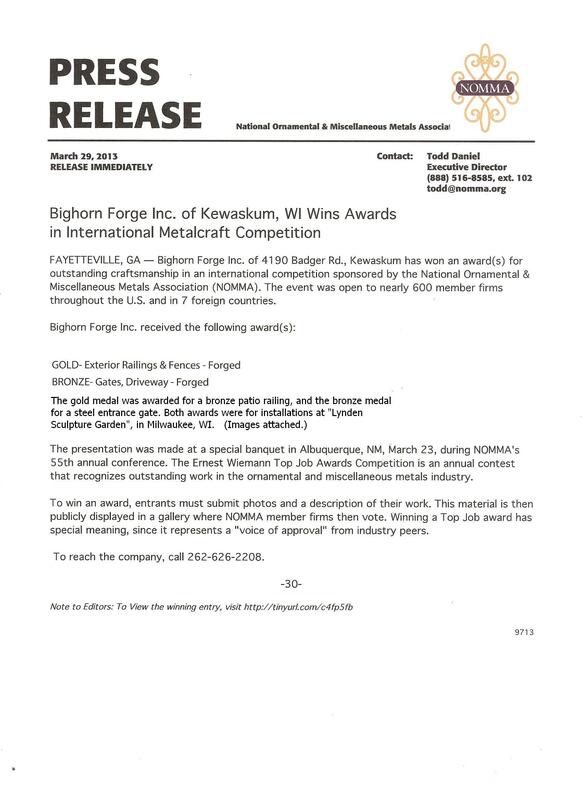 I extend my gratitude to NOMMA for sponsoring “Metalfab 2013”, and this contest. They are a fine organization, who helps promote the business of metalwork, and also publishes a quality magazine, “Fabricator”.